Former Australian cricketer and Chennai Super Kings star Matthew Hayden is in India, travelling around parts of Tamil Nadu, promoting a cricket franchise. One of those international players that the people of Tamil Nadu can easily connect with is Hayden, especially since his stint with Chennai Super Kings. The legendary player too can be seen enjoying his time here. Ever since his arrival in Chennai, Hayden has been busy updating his fans with pictures and interesting videos of his efforts to connect with the culture and interests of Tamil Nadu. 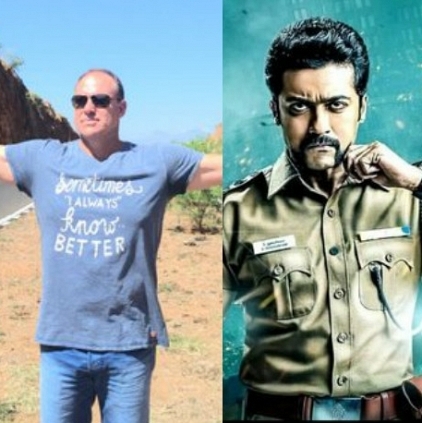 On those lines, Hayden tweeted a picture of him in Tirunelveli, in the exact spot that features in Suriya’s movie Singam. What’s more interesting is he has used the hashtag #OndraTonWeightDa for the image! Does this mean somebody played Hayden Singam which inspired him to put up the picture? Probably!! "This will be a mass action film on the lines of Vijay’s Ghilli"
First schedule wrapped for Miya George and team! People looking for online information on Matthew Hayden, Singam, Suriya will find this news story useful.